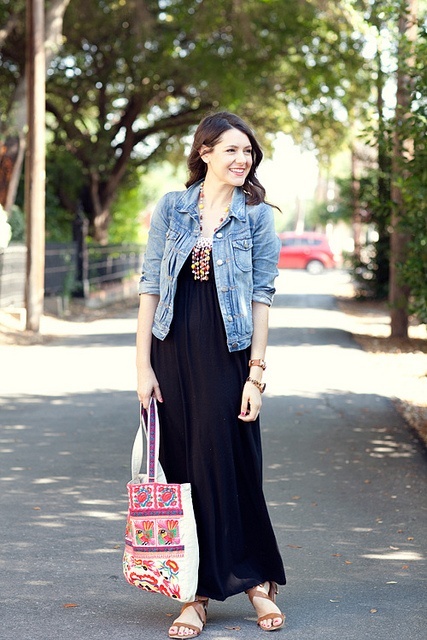 Ways to style a maxi dress can vary depending on the season. While trends come and go, the maxi dress has still proven to be a popular wardrobe staple. A basic maxi dress in a neutral colour can be quite versatile. Whether you wear one alone with a few accessories or layer it up, the styling opportunities are endless. The following are just a couple of ways to style your elegant maxi dresses this season. Channel one of the hottest celebrity looks right now by giving your maxi the glam treatment. For this look to work, choose a maxi dress in a luxe fabric like silk. Accessorise with some statement jewellery and a compact clutch for a fabulous look that's worthy of the red carpet. When it comes to ways to style a maxi dress the sport luxe way, stick to the basics. Start with a jersey or cotton maxi dress in a simple tank design. Accessorise with a sporty cap, sneakers, and maybe even show off a bit of a sports bra. Complete the look by slipping on a bomber jacket or cropped sweatshirt over the top. Give your maxi dress a bit more of a polished look by styling it in a more sophisticated manner. You can instantly make it more polished by teaming it with a blazer, patent shoes, and a framed handbag. Be sure to choose a maxi dress in a more structured fabric that won't cling and stretch. Make your maxi dress work for you on vacation. I love a maxi dress as it can equally be relaxed and glamorous. For ways to style a maxi dress that'll have you resort-ready, try accessorising with things like silk scarves, turbans, and long beaded necklaces. 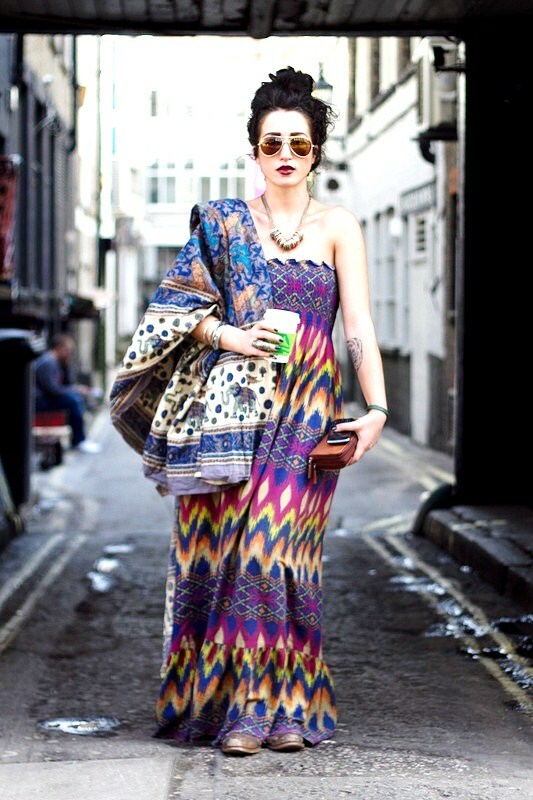 Work a bohemian look in your maxi dress for instant retro style. Choose a maxi dress with a more relaxed, flowing cut. Style it up with a macramé or crochet vest, aviator sunglasses, and a tooled leather handbag. Work a casual off-duty look by teaming your maxi dress with denim and khaki fabrics. A denim jacket or vest would look great teamed with a basic maxi dress for a street smart look. When it comes to ways to style a maxi dress this way, complete the look with a pair of wayfarer sunglasses and a slouchy handbag. Give your maxi dress some extra edge by styling it in a biker inspired manner. Start simple by popping on a leather biker jacket or vest over your maxi dress. To take the look further, add studded accessories or wear biker-style boots. Get as much wear as you can from a simple maxi dress by styling it in a range of different ways. Do any of these looks relate to your own personal style? What are your favourite ways to style your maxi dress?